Need a good reason to laugh on Mondays? 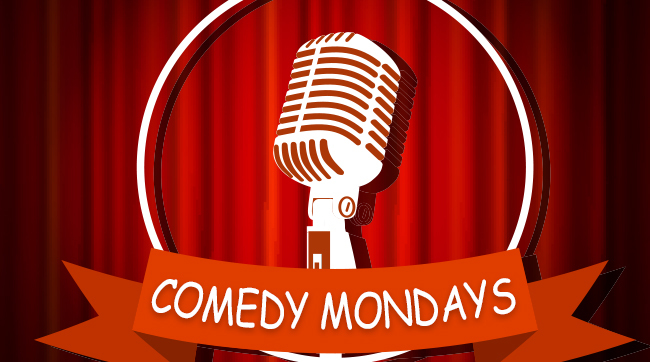 Riley has your comedy relief to start off your week with Comedy Mondays at SteelStacks! Every Thursday, Friday, and Saturday night, no matter what – There’s LIVE comedy at the SteelStacks! 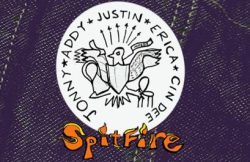 Doors: 10:15 p.m. | Show: 10:30 p.m.
Spitfire is a mash-up of live music and improvised comedy! Each month features a special musical guest, whose intimate, live, acoustic performance is used as the inspiration for completely unscripted comedy. It’s sort-of like “VH1 Storytellers” meets Monty Python and it is definitely the best thing you can do with your night. Starring Jon Lunger, Cindy Marsh, Justin Passino, Erica Sylvester, Addyson Teal and a special musical guest. In this day of watered down comedy, Nick Di Paolo’s brutally honest performances remind us of what great stand up should be – funny, socially relevant and a little bit reckless. His strong political opinions and razor wit make him a perfect fit for talk radio. He hosted his own shows on New York’s 92.3 Free FM, “The Nick Di Paolo Show” on SiriusXM, co-hosted “The Nick & Artie Show” and currently hosts “The Nick Di Paolo Podcast”. He has performed on The Tonight Show, Late Night with David Letterman, Jimmy Kimmel Live, and Conan O’ Brien. He was twice nominated for an Emmy for his writing on HBO’s The Chris Rock Show. He has also had three half hour standup specials on Comedy Central, a Showtime Special “Raw Nerve”, a self released special “Another Senseless Killing” and most recently “Inflammatory”. He was one of the stars on Tough Crowd with Colin Quinn and a stand out on many Comedy Central Roasts. Not limited to stand-up, radio and writing, he has had acting roles on FX’s Louie, Inside Amy Schumer, The Sopranos, Cop Show and CK’s critically acclaimed Horace and Pete as well as many other sitcoms. Doors: 9:15 p.m. | Show: 9:30 p.m. 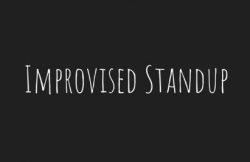 The Lehigh Valley’s best standups and improvisers face a new challenge when they’re given topics to talk about… while they’re onstage! And… YOU might even be the one providing the topic!